Our mission is to simplify developers' lives, improve security, and reduce identity TCO for our enterprise customers, by making identity simple, secure and extensible. We strive to maintain a welcoming and inclusive culture built on the principle of "No B.A.P." (No BS, No A-holes, No internal work Politics). If you feel you want to be part of the challenge of making the internet safer, we are looking for engineers to join a newly created team that will work in improving the way our customers experience our platform. We’re looking for professional engineers, who can quickly learn and adapt as our systems and situation changes, rather than a rigid skillset. Create cross-platform browser features and backend implementations. Collaborate with fellow engineers to design and build new features at large-scale. Follow cloud development best practices regarding logging, monitoring, scaling and availability. Refine engineering practices, standards, and tooling. Projects that directly impact and improve the way that our customer and users interact with our products and solutions. Creating new applications that will help customers understand and adopt our platform. Designing and implementing new features in our dashboard. Have solid web application engineering experience, working closely to front-end. Have experience closely collaborating with design teams. Are familiar with NodeJS and RESTful APIs. Are able to balance idealism and pragmatism in a fast-paced work environment. Possess self-management skills with a continuous improvement mindset. Pay attention to detail and make user experience a top priority. Are passionate about working on systems that are highly reliable, maintainable and scalable. Enjoy being part of a highly collaborative, remote first environment. Are located +/- 3 from UTC−03:00 (preferred).It’s not expected that you have expertise in all these areas. 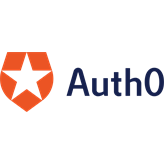 Want to get notified about new jobs at Auth0?